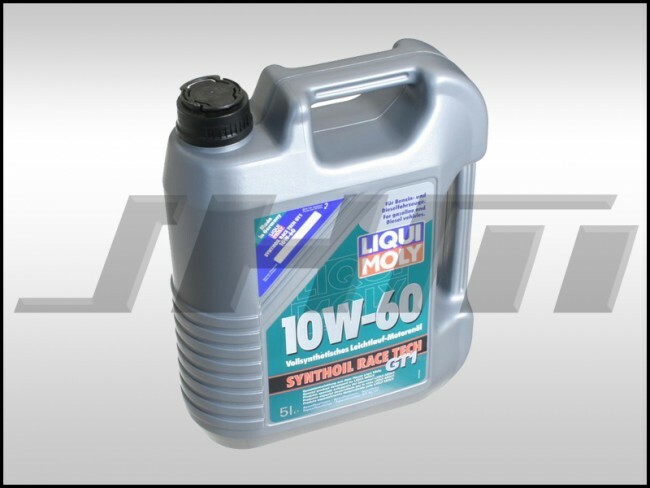 JHMotorsports now carries LiquiMoly Synthoil Race Tech GT1 10w60 motor oil! Due to several customer requests, we are pleased to now stock this fully synthetic, high-performance engine oil. LiquiMoly Synthoil Race Tech GT1 10w60 is specifically formulated for use in engines under extreme load and for racing applications. Meets the API Standards SL and CF. Common oil capacities, courtesy of JHM so you can order the right amount. Don't forget to change the quantity at checkout to make sure you have enough based on the chart above. It is always a good practice to get one extra liter in case of spillage and for top offs between oil changes.